Force Gages are precision measuring instrument used across all industries to measure the force during a push or pull test. 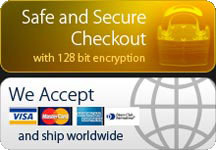 There are two kinds of force gauges available : Digital Force Gauges and Mechanical Force Gages. 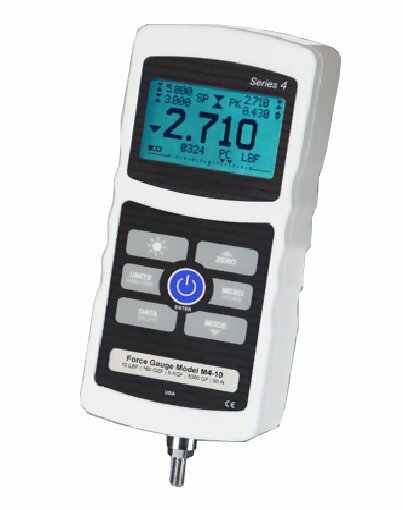 Digital Force Gauges are basically handheld instruments that contains a load cell, electronic part, software and a display. A load cell is an electronic device that is used to convert a force into an electrical signal. Through a mechanical arrangement, the force being sensed deforms a strain gauge. The strain gauge converts the deformation (strain) to electrical signals. 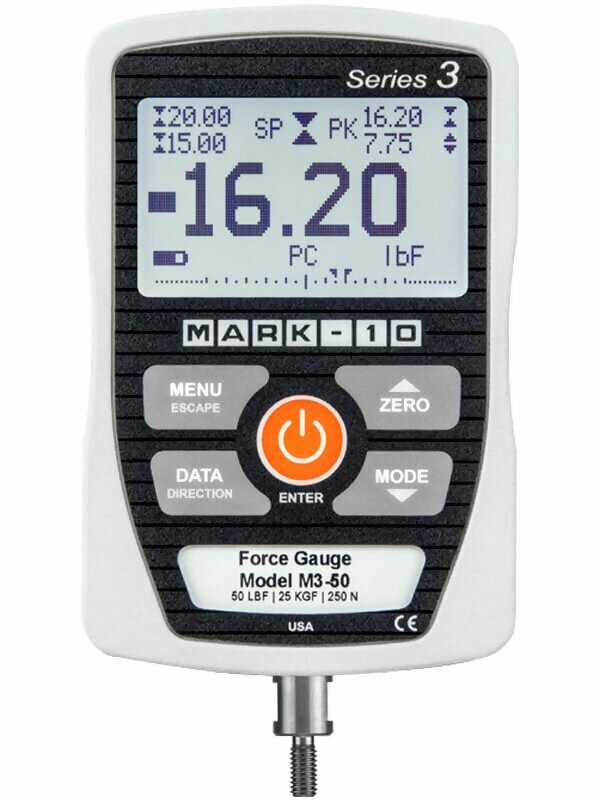 The software and electronics of the force gauge converts the voltage of the load cell into a force value that is displayed on the instrument. Test units of force measurements are most commonly newtons or pounds. The peak force is the most common result in force testing applications. It is used to determine if a part is good or not. Some examples of force measurement: door latch, quality of spring, wire testing, strength ... but most complicated tests can be performed like peeling, friction, texture. Click here for list of all Digital Force Gages.